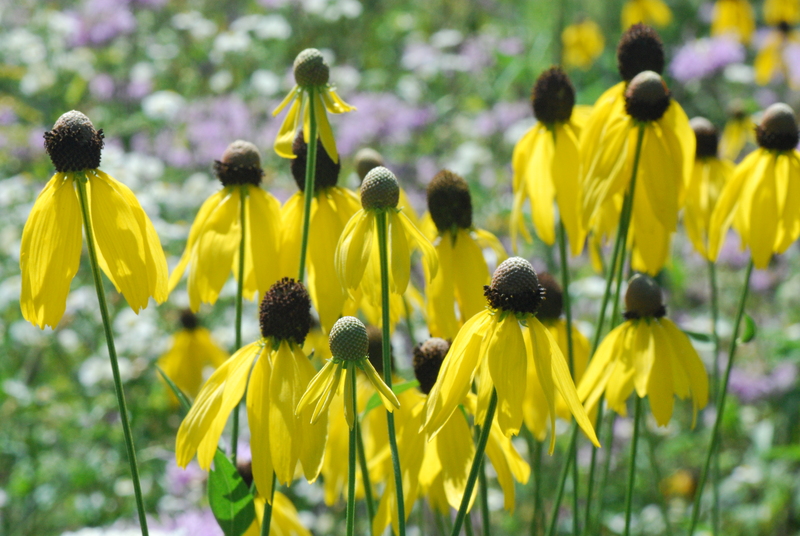 Bright yellow blooms attract pollinators with a long summer bloom. Ratibida pinnata, commonly called gray headed coneflower, typically occurs in dry woods, prairies. 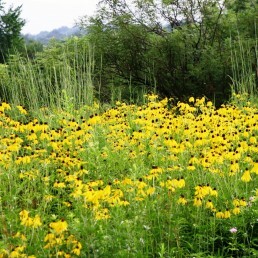 The bright yellow flowers have a dull-gray central disk and attract pollinators. 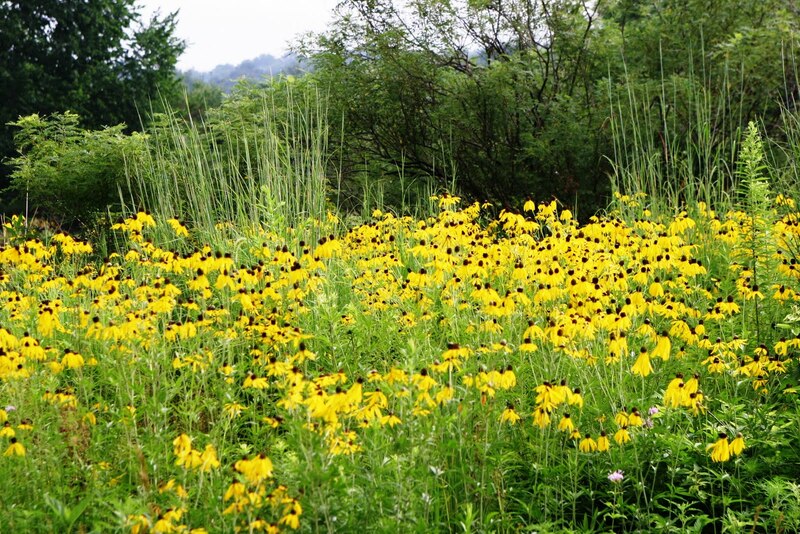 Good plant for the sunny border or a native plant garden that is best massed because individual plants are narrow.